On Sept. 10 at 2 p.m., the acclaimed New York indie band Grizzly Bear joined John Schaefer for an exclusive sneak preview of their upcoming new album, “Shields.” The band performed new songs during a live video webcast and taping! 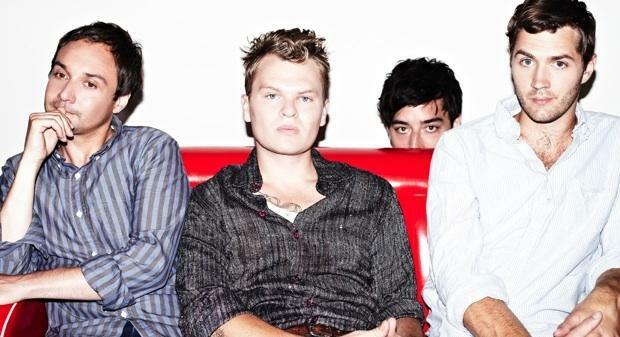 Grizzly Bear’s performance will be heard again when Soundcheck returns to WNYC’s airwaves on Sept. 17 in a new time slot: 9-10 p.m. on 93.9 FM. As the centerpiece of the station’s new evening slate of entertainment and culture, Soundcheck is geared towards opinionated music fans who listen while gearing up for an evening out – or while plugging in to social media. Plus, Soundcheck has a new digital home: Soundcheck.org. The site showcases the program’s new look, logo and voice, as well as expanded online content.